When the movie The Secret became a big hit several years ago it planted a seed in the mass consciousness that we can all create our individual reality from our imagination. After releasing the genie out of the bottle, so to speak, many people began wishing and focusing on the physical objects they could attain because their focus was on a perceived dualistic reality. Little did they know that the power they just discovered was meant to create a deeper understanding of their innermost desires and provide them a way to manifest those desires. Desires of purpose, meaning and contribution, not just superficial physical extensions in a perceived dualistic reality. Peace is a result of being satisfied with your current life situation. It is the end result of circumstances, events and interactions with people that are favorable to you. Dissention and warring reactions come from anger. Anger is the resultant state where you feel you are not being treated fairly by circumstances, events or people. It is a result of you giving away your power to create your own reality. You realize that you are not in control of other peoples’ actions or situations. To attain a state of peace you must let go of the ego’s desire to control everything. Only then, can you attain a state of peace. The silent voice of God cannot be heard in a world of dissention, distraction and anger. Only through meditation can you begin to experience your inner self and the still small voice of God. So, what is meditation anyway? Meditation is letting go of the outside world and opening the door inward to your inner world. A world of silence and stillness where you release the stresses of the outer world and truly let go of your ego. It is a practice, like any other practice, that grows and expands the more you do it. The more you practice meditation, the deeper you get to know the desires that God has planted in your heart. These desires are what you were created to do. The only things that prevent these desires from happening are the repeated thoughts and beliefs that we create as a result of our experience in the outer world. These beliefs are the filter through which we make choices to either act or not act on our desires. It is our choice to either hold fast to our beliefs or find effective ways to remove them from blocking our growth and expansion. Do you want to remove erroneous beliefs from your life? Please visit the article Why Doesn’t The Secret Work For Me? Make the time to allow yourself to live the desires of your heart by removing the blockages and obstacles that YOU have created. You are worth it! Dean A. Banks, MCIWD, DD has been a touring musician, recording artist, recording engineer and producer during the course of his 40 plus year career. He earned his D.D. degree (Theology) from UCS in 1985. After college Dean taught audio engineering technology at the University of Sound Arts (USA) in Hollywood, CA. Dean’s song "Feel The Wind In Your Sails" received high acclaim when the song was played in the L.A. radio market during the ‘80’s. Branching out, Dean appeared on the Los Angeles market (Channel 9) television show “There Is A Way” and performed at the Shrine Auditorium in L.A in 1982 to promote the single release of his song “People Are Wanting Your Love.” He spoke on pursuing your dreams at The Mind, Body & Spirit Festival in San Diego, CA. in 1985. In the early 90's Dean wrote soundtracks for the United Kingdom based company, SMI Music. During the late 90's, Dean designed and built a full service audio/video complex called the MultiMedia Mall, a consortium of graphics, web design, and audio/video production. Applying his understanding of multimedia production, Dean started a parallel career path as a Webmaster at the turn of the century. In 2002 he received his certification as a Master Certified Internet Webmaster Designer (MCIWD). His training was specialized in e-Commerce design and implementation, part of his career path for present and future music marketing. Currently, Dean produces multimedia marketing, advertising campaigns, commercials, and is the webmaster for his company, banksnet.com. He has developed The Spirituality Guidance Channel Web TV station in Wilmington, DE. 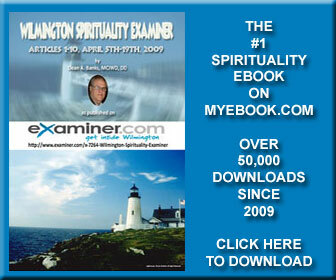 and formerly wrote for Examiner.com as the Wilmington Spirituality Examiner. 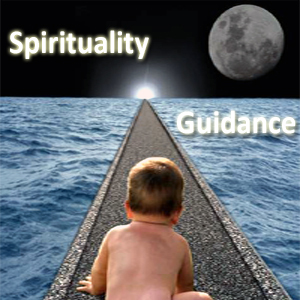 Spirituality Guidance defines the art of awakening individuals to the truth of their value. By accepting the simplest explanation of why things occur in your life, you can begin to unfold your innermost desires and develop strategies to accomplish those desires. “Spirituality Guidance is the art of leading individuals to observe, collate and evaluate the facts. It frees the individual from judgment and allows your spirit to truly be free. By utilizing facts and not opinions, an individual can become one with the desires of their heart. 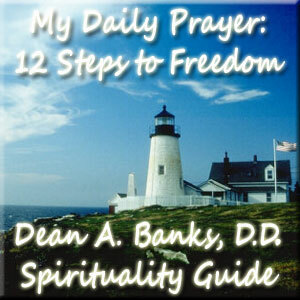 The ultimate goal is to actualize these desires through prayer, meditation and service.” – Dean A. Banks, D.D.